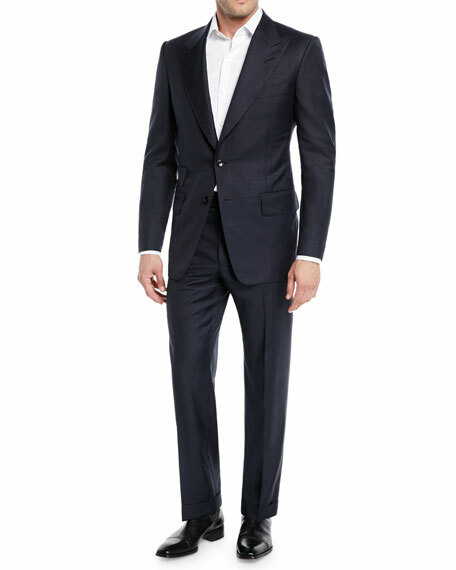 TOM FORD suit in tonal Prince of Wales plaid wool. 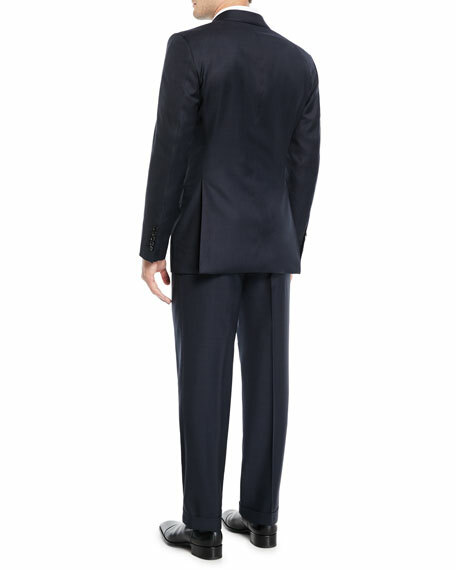 Peaked lapel; hand-finished, double-stitched silk button hole. Two-button front with hand-stitched buttons. 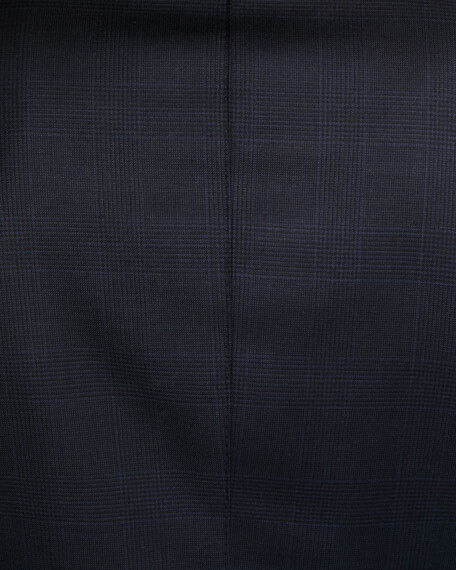 Front flap pockets; hand-cut chest welt pocket. Suit will ship with prepped sleeves and a set of buttons. Please contact your local Neiman Marcus store for proper finishing of your garment. 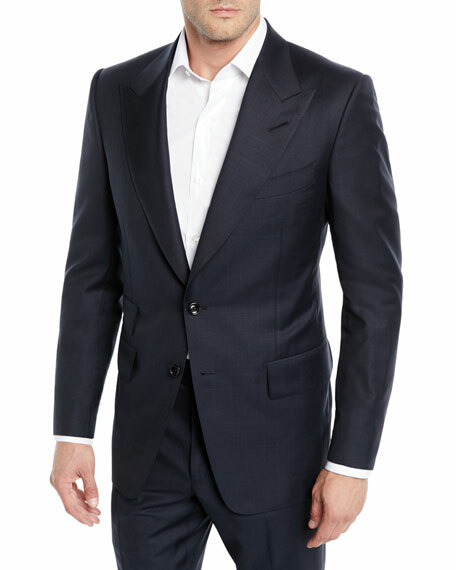 BOSS Hugo Boss two-piece suit in solid weave. Notch lapel; two-button front. Welt pocket at chest. Flap pockets at hips.